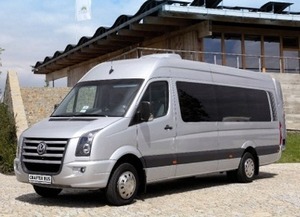 Prague airport shuttle – private transport from Prague airport by minibus, taxi, bus and limousine. Our goal is to ensure trasportation in a clean, safe and modern cars, but also decent behavior of drivers and proffesional level of service. Prices in GBP, EUR and USD are to be calculated according to current rates. Compared to taxis save about 50%. Use our minivan / minibus and go really cheap! The customer shares the minibus with other travelers. Share the price and go from 120,- CZK per person! 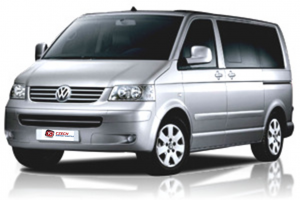 Our company offers you shared minivans / minibus for transportation from and to Prague airport Ruzyne – transportation is provided mostly by VW Trasporter Long, that can take 8 passengers. Minivans are comfortable, air-conditioned and nonsmoking, minibuses are always kept in perfect technical condition. If you order transportation for you only at a given time, we will drive you directly to your destination without any stops (transfer to the Prague city centre takes about 30 minutes). Passengers can also share the minivan, in which the transfer can take up to 60 minutes. In every case, the price is very friendly. Shuttle transportation is available daily from 5 a.m. till midnight.We strongly believe that our transportation services will contribute to your nice impression of Prague. Are you more than 8 persons? Use our buses up to 50 persons capacity. Unfortunately, to many hotels (mainly in the historical center of Prague) is not possible to use a big bus. In these cases is necessary to use minivans or minibuses. Transfer/transport from Prague airport to hotel / address with SIGHTSEEING TOUR of city centre! During your journey from the Prague airport to your hotel or address the driver will take you through some of the most interesting parts of central Prague (Prague castle, Lesser Town, Old and New Town); interpretation included. 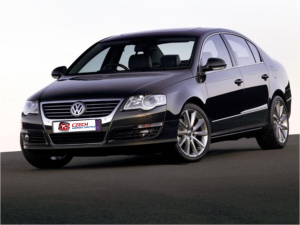 FREE transfer / transport from Prague airport to hotel / address! Do you want to go from the Prague airport to the center for free? Make your reservation with us of package of guide services (4 or 8 hours) and you will get an airport transfer from the Prague airport for free! The package includes services of a guide in your language for 4 or 8 hours and you can choose what do you want to include. You may have to walk through the city center, assistance on a boat trip , at dinner or trip outside of Prague (caslte or chateau).. Number of persons is limited by the number of seats in the minivan (maximum 8 people).